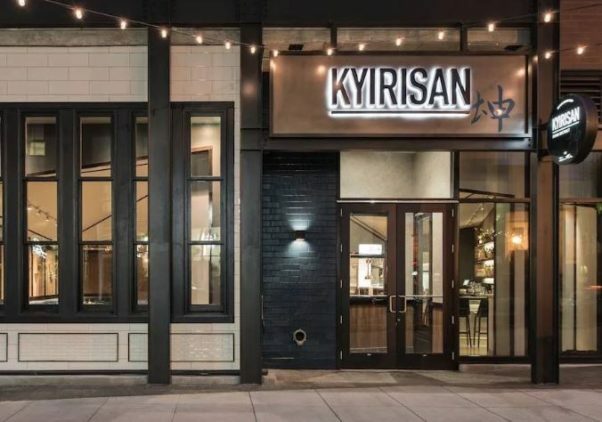 Chef Tim Ma is closing his French-Chinese restaurant Kyirisan, 1924 Eighth St. NW in Shaw’s The Shay development, on Thursday, Apr. 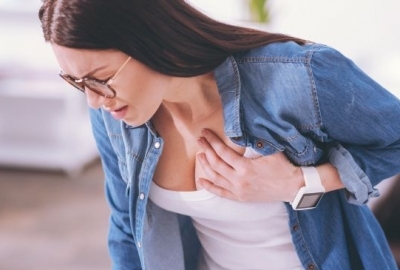 18 after landlord JBG filed an eviction lawsuit claiming the restaurant owes $111,574 in unpaid rent and other fees from September 2018 through March. Ma refused to comment on the lawsuit. Kyirisan is Ma’s last independent restaurant. He formerly had three restaurants in Virginia that he sold or closed before opening Kyirisan in Shaw. His first restaurant Maple Ave, which he sold and remains open under new ownership, opened in Vienna in 2009. That was followed by Water & Wall in Arlington, which he closed, and Chase the Submarine sandwich shop in Vienna, which he also sold. It was the closing of Water & Wall in 2017 and the resulting debt that he told Washingtonian magazine ultimate “decimated” his restaurant group. He blamed uneven traffic and the high cost of operating in The Shay, where he was one of the first tenants, led to Kyirisan’s closure. The upscale development from JBG has had several closures since it opened in 2015 including Glen’s Garden Market, Kit and Ace, Bucketfeet, Argent, Chrome Industries, Steven Alan, and Frank and Oak. For now, the 41-year-old engineer turned chef will focus on the new Eaton Workshop hotel, 1201 K St. NW, where he runs the main restaurant American Son and oversees food and beverage for Wild Days rooftop bar and other in-house operations. The final Sunday brunch at Kyirisan was Sunday and the final dinner is on Thursday. Ezequiel Vazquez-Ger and chef Enrique Limardo will open Seven Reasons, a Latin-inspired restaurant, on Tuesday, Apr. 16, at 2208 14th St. NW in the former Piola space. The name is a nod to numerology, where the number seven symbolizes one who is searching for new experiences. With his debut Washington restaurant, Limardo will have fun with texture, flavor and plating. Designed in collaboration with Miami-based Valentina Story, the space is inspired by the diverse landscapes of South America. The interior is inspired by nature using a mix of textures and applications. Ivy is draped throughout, along exposed brick and concrete finished walls. The jungle theme continues with wall columns of plants highlighted by natural light from the triple height ceiling. Chartreuse banquettes are complemented by purple tweed, charcoal suede and tan leather mid-century modern chairs. Laser cut wood pendant lights are suspended at different lengths above the staircase. The outdoor patio, opening in the coming weeks, can seat 30 and the mezzanine can be reserved for private parties. 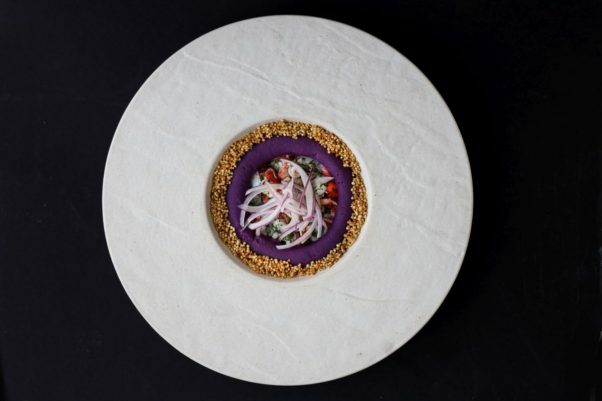 The menu features new recipes that highlight the Latin America’s most creative cuisines, including dishes from Peru, the Amazon and the Caribbean. Limardo’s Latin-inspired fare has earned local and international accolades, most recently during his stint from 2014 to 2019 as the executive chef at Alma Cocina Latina in Baltimore. The menu is divided into seven sections: snacks, small plates, medium plates, large plates, desserts, cocktails and wines & cocktails. Dishes include ravioli de chuchos, a modern version of a Venezuelan fish stew lasagna made with plantain dough, skate fish, cheese foam and squid ink sauce. Other dishes include cheese “arepas” made with a spicy chancaça syrup; lobster ceviche with coconut leche de tigre, lemongrass extract, crispy quinoa, purple sweet potato and trout caviar; and Wagyu coulotte with roasted potato, smoked tomato cumin sauce and heart of palm and cucumber salad. The signature dessert, pink guava, is pink guava dulce de leche foam with raspberry croutons. Bar manager Josue Gonzalez, most recently from Bresca and St. Anselm, created a drink menu inspired by the diversity of South America and the Caribbean. Rum, cachaça, pisco, sake, shochu, tequila and mezcal are featured on the cocktail list and drinks are infused using exotic fruits, vegetables and spices from the Amazon. Limardo and Gonzalez are working to use every part of each ingredient in the kitchen or behind the bar. Seven Reasons is open from 5:30-11 p.m. Tuesday through Thursday 5:30 p.m.-midnight Friday and Saturday, and 5:30-11 p.m. Sunday. 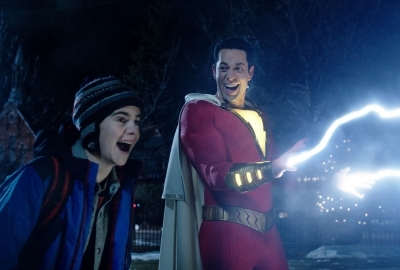 Reservations may be made through Resy. Buttercream Bakeshop, 1250 Ninth St. NW, is celebrating Easter with eggs make from cake and inspired by Peter Carl Faberge, court jeweler to the imperial family of Russia. The egg-shaped cakes are modeled after the pink Lilies-of-the-Valley Egg and the Faberge Egg collection currently on display in New York City’s Metropolitan Museum of Art. Inside each egg are cakes including a chocolate cake with chocolate ganache and chocolate buttercream, and almond cake with strawberry jam and strawberry buttercream. Each has hand-painted molded gold gum-paste appliques and a non-toxic varnish. Home chefs can purchase devils food cake Easter eggs filled with cherry buttercream, covered in white chocolate and decked out with colorful icing. Chef de cuisine Andrew Menger has been foraging for stinging nettles for about eight years. Now with the help of his dogs Chunk and Mama, he is serving them on the menu at The Dish & Dram, 10301 Kensington Parkway, Kensington. Stinging nettles, leafy greens, are a seasonal staple in many kitchens this time of year. They are high in iron, potassium, manganese, calcium, and vitamins A and C, plus they are a good source of protein. Menger learned to forage for nettles from his father, a master gardener, who taught him the practice of identifying plants. He is currently foraging for them in the Great Seneca Creek area in Montgomery County. 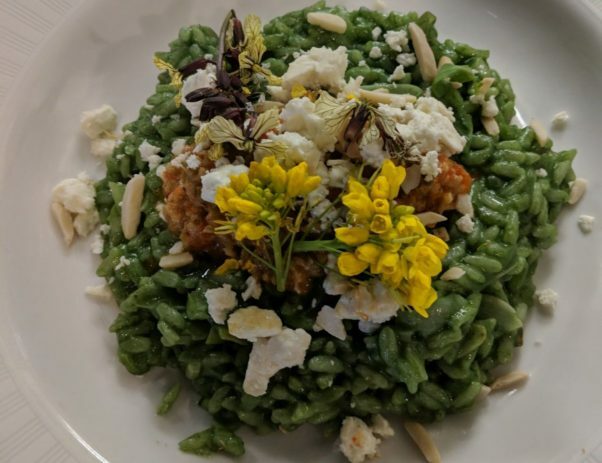 At Dish & Dram, he is serving nettle risotto with nettle puree, pepper and olive tapenade, sheep’s milk feta, toasted almond slivers and local edible baby yellow flowers from Virginia for $19. Zinburger Wine & Burger Bar, Springfield Town Center and Arundel Mills, has partnering with Beyond Meat to offer diners a 100 percent plant-based patty. Zinburger has created the Beyond Burger Vegan Bowl that is featured on the restaurant’s spring menu catering to consumers’ growing demand for plant-based protein. Diners can also substitute the plant-based patty on regular menu items. The Beyond Burger patty will be available at all 17 East Coast locations beginning Tuesday, Apr. 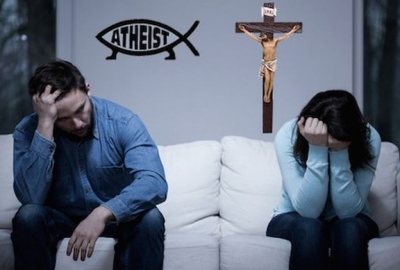 16th. 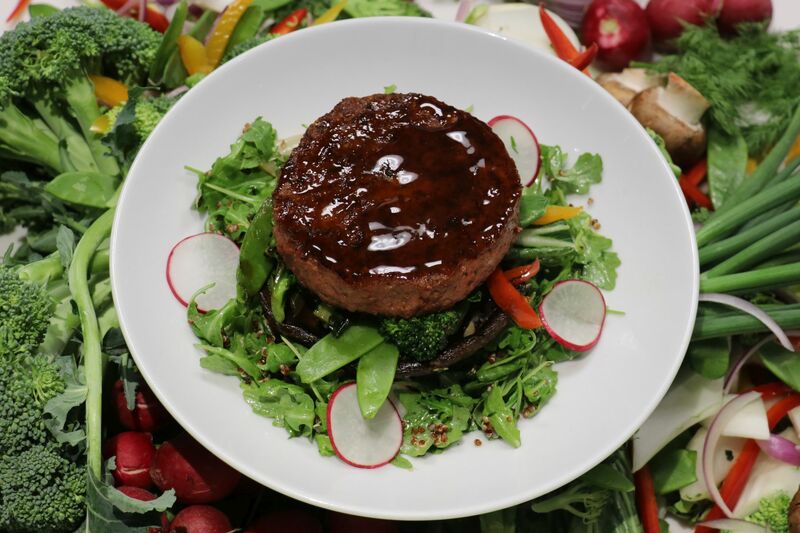 The Beyond Burger Vegan Bowl features the vegan patty on a bed of baby arugula, red quinoa, radish, grilled Portobello mushrooms and stir-fried vegetables and is topped with lemon vinaigrette, tamari glaze and scallions. 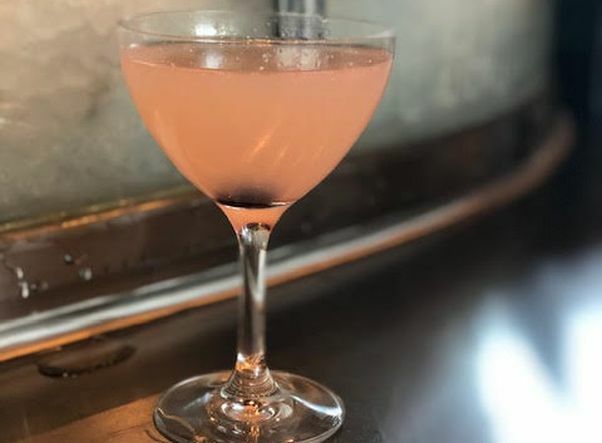 The cherry blossoms may be gone, but you can still celebrate them with two cherry-themed cocktails at Oceanaire, 1201 F St. NW, until the end of April. The restaurant has two special cocktails that have been available since Mar. 20: The In Bloom made with Grey Goose cherry noir, simple syrup, fresh lemon juice, St. Germain elderflower liqueur, Peychaud’s bitters and garnished with a Luxardo cherry. It is also serving a Cherry Blossom Cosmo made with Grey Goose cherry noir, fresh lemon juice, Ocean Spray cranberry juice, Aperol, simple syrup and garnished with a Luxardo cherry. Both are $14. Just in time for spring, Brazilian steakhouse Fogo de Chão, 1101 Pennsylvania Ave. NW and 1775 Tysons Blvd., McLean, has introduced new menu items using ingredients of the season. From Brazil-inspired meat varieties to soups and salads, new spring selections are available as part of the Full Churrasco Experience at all U.S. locations. “Brazilian cuisine focuses on harvesting and serving fruits and vegetables when they are in season and have reached peak flavor,” said Barry McGowan, chief executive officer. Fogo’s spring menu items include pork picanha (butchered and prepared with the same simple style as traditional picanha) and a new spicy linguica sausage (pork sausage with red pepper, garlic and fresh onion) on the Full Churrasco Experience. New salad bar items include roasted cauliflower salad made with olive oil, garlic and black pepper, then topped with scallions and sesame seeds; Brazilian kale and orange Salad with a citrus-honey vinaigrette, plus gluten-free carrot and ginger soup blended with fresh herbs and coconut milk. New on the dessert menu is crème de coconut, a traditional Brazilian recipe with shredded coconut baked with condensed milk and cream, then served warm with ice cream and lime zest. The new cocktails is the blood orange Manhattan with Buffalo Trace bourbon, Carpano Antica, blood orange and angostura bitters served on the rocks. The restaurant has also added “Eulila,” a red wine blend specially created exclusively for Fogo by Viña Vik. Available by the glass or bottle, the wine blends Carmenere, Cabernet Sauvignon and Syrah grapes from the Cachapoal Valley in Chile and pays tribute to Eulila “Selma” Oliveira, Fogo’s chief culture officer. Morton’s, 1050 Connecticut Ave. NW, 7400 Wisconsin Ave., Bethesda, and 11956 Market St., Reston, recently debuted its annual seasonal selections. 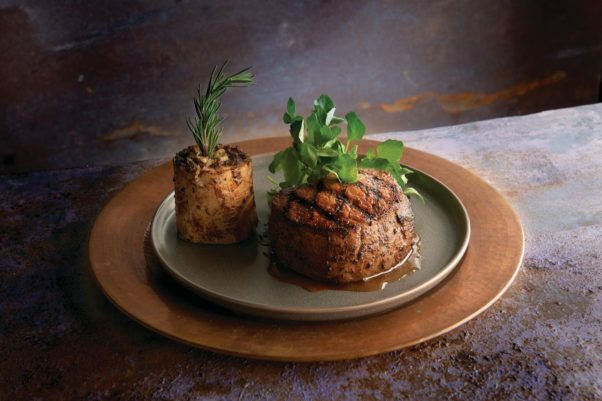 Morton’s unveiled its new seasonal dishes including a all-natural 10-ounce filet served with garlic-roasted bone marrow. This year’s selections include truffled mashed cauliflower made with steamed cauliflower pureed with creamery butter, black truffles and cream cheese, topped with grated parmesan; sautéed wild cremini, shitake and oyster mushrooms sautéed in whole butter served over a toasted French baguette with freshly grated parmesan; Nueske’s applewood smoked bacon steak with a sweet mustard glaze including pure molasses, Creole mustard and cracked peppercorns; an all-natural 10-ounce filet served with garlic-roasted bone marrow; and 35-45 day dry-aged 18-ounce N.Y. steak. The James Beard Foundation recently released the names of the finalists for the 2019 James Beard Foundation Awards. Local nominees were whittled from 20 to five. Among the semi-finalists eliminated in this round were Elle and Spoken English (Best New Restaurant); Columbia Room (Outstanding Bar Program); Vikram Sunderram of Rasika and Fabio Trabocchi of Fiola (Outstanding Chef); Komi (Outstanding Restaurant); Ruth Gresser of Pizzeria Paradiso (Outstanding Restauranteur); Marcel’s by Robert Wiedmaier (Outstanding Service); Tail Up Goat (Outstanding Wine Program); and Eric Bruner-Yang of Brothers and Sisters, Jerome Grant of Home Sweet Home Café, Haidar Karoum of Chloe, Jay Sybert of Tail Up Goat, Kevin Tien of Himitsu and Nobu Yamaazaki of Sushi Taro (Best Chef: Mid-Atlantic). 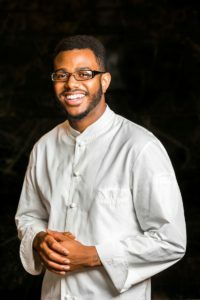 Last week, Food & Wine magazine released its annual list of the 10 Best New Chefs, and there was one chef from the DMV on it. Chef Kwame Onwuachi of Kith & Kin, 801 Wharf St. SW at The Wharf, was the only area chef to be named to the list. “Over the course of six months, 24 cities and about 30,000 miles, I encountered chefs wading into the ever-more-intimate deep, committing to the detail work of cuisine rooted in identity, choosing always, to take the long way home,” Food & Wine restaurant editor Jordana Rothman said in her introduction. The magazine’s annual list has boosted the careers of many chefs. Past winners of the 31-year-old award include Nancy Silverton, Thomas Keller, Tom Colicchio, Nobu Matsuhisa and David Chang.